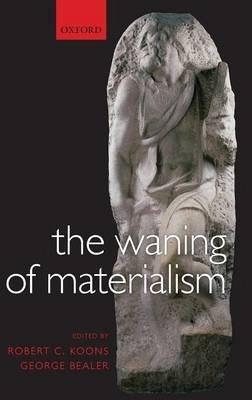 Twenty-three philosophers examine the doctrine of materialism find it wanting. The case against materialism comprises arguments from conscious experience, from the unity and identity of the person, from intentionality, mental causation, and knowledge. The contributors include leaders in the fields of philosophy of mind, metaphysics, ontology, and epistemology, who respond ably to the most recent versions and defences of materialism. The modal arguments of Kripke and Chalmers, Jackson>'s knowledge argument, Kim>'s exclusion problem, and Burge>'s anti-individualism all play a part in the building of a powerful cumulative case against the materialist research program. Several papers address the implications of contemporary brain and cognitive research (the psychophysics of color perception, blindsight, and the effects of commissurotomies), adding a posteriori arguments to the classical a priori critique of reductionism. All of the current versions of materialism - reductive and non-reductive, functionalist, eliminativist, and new wave materialism - come under sustained and trenchant attack. In addition, a wide variety of alternatives to the materialist conception of the person receive new and illuminating attention, including anti-materialist versions of naturalism, property dualism, Aristotelian and Thomistic hylomorphism, and non-Cartesian accounts of substance dualism.